When did you first feel like a Matador? Was it when you joined a club, made a new friend or found the best study spot? Share your moment in the Matador Moments Challenge. Photo by Aleks Malczewski. “Matador Moments: Freshman Challenge” invites California State University, Northridge students to inspire future Matadors. When did you first feel like a Matador? Was it when you joined a club, made a new friend or found the best study spot? 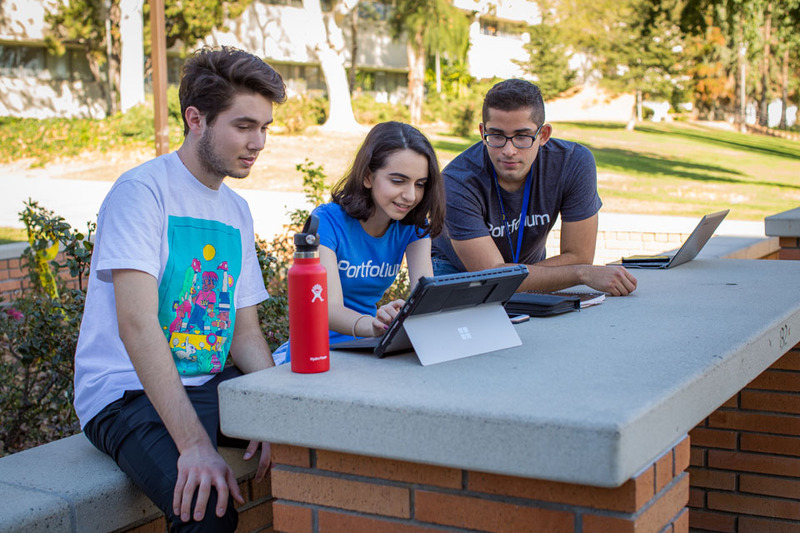 California State University, Northridge students are invited to participate in the Matador Moments: Freshman Challenge to inspire incoming CSUN freshman and future Matadors. Students of all class standings and disciplines are encouraged to enter the Matador Moments challenge by sharing their stories about an experience that contributed to making their first-year experience at CSUN a success. Submissions are welcomed in different shapes and formats, including video, text, images and presentation slides. Students are encouraged to be creative and can use outlets such as Snapchat to create their entries. 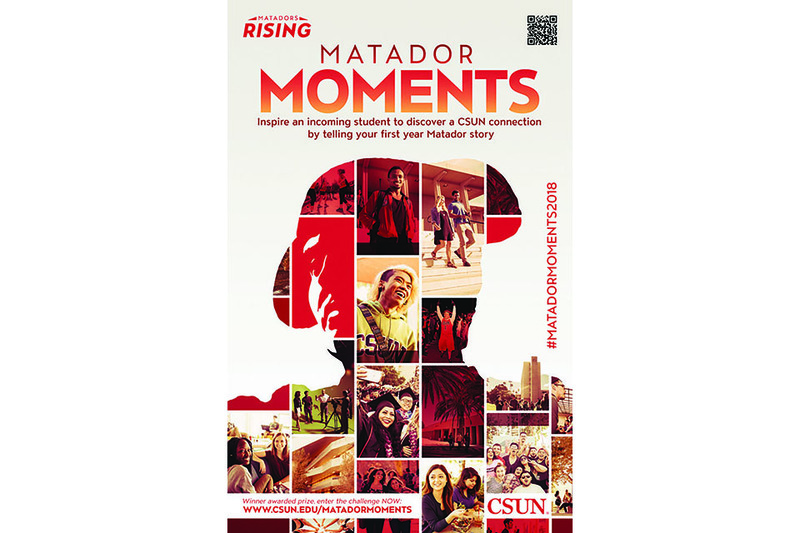 The top Matador Moments entry will be awarded a $100 CSUN Campus Store gift card and be celebrated at an award ceremony this spring. The top five runner-up entries will also be featured in a video shown at the 2018 New Student Orientation. A Matador Moment can be any type of experience, both successes and challenges. “Matador Moments can be friends or parents helping a student stay on course, staying after class to talk to a professor or something else that helped a student overcome difficulties,” Heinrich said. CSUN hopes to make Matador Moments an annual tradition where students inspire incoming Matadors to persist and succeed. 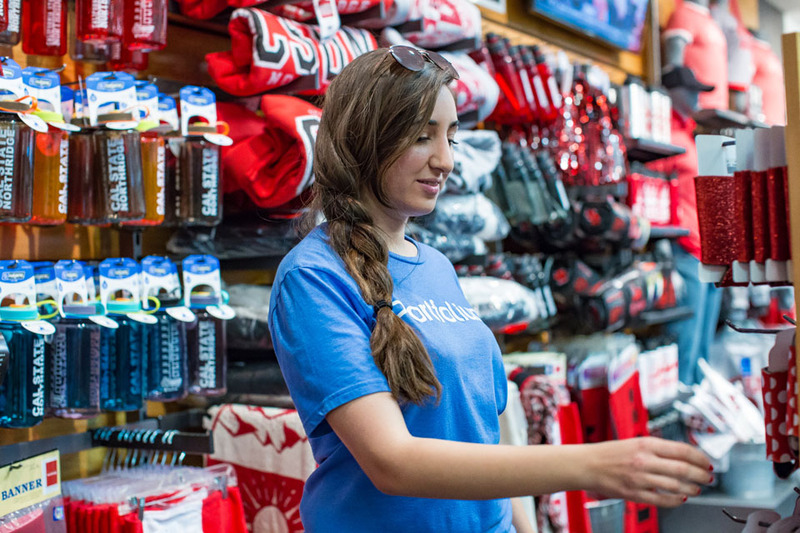 As new students are greeted by previous first-year experiences, Heinrich hopes that they will then encourage the next generation of Matadors. Portfolium student ambassador Kelson Steele, art and animation sophomore, says his Matador Moment was during the student housing block party his first semester where he was introduced to some of the many clubs on campus. As a Portfolium ambassador, Steele is part of the team that will decide what entries make the first cut and pick which submissions will move on to the final round of judging. In the final round, a panel of judges will select the Matador Moments winner and runners-up, who will be honored at the annual Student Involvement Award Ceremony on April 24. Submissions are accepted until March 30 on the Matador Moments challenge page on Portfolium. Learn more about the challenge and submission guidelines at https://www.csun.edu/matadormoments.